Once you have logged in to your StriveHub Portal account, you will see your current care plan displayed first. 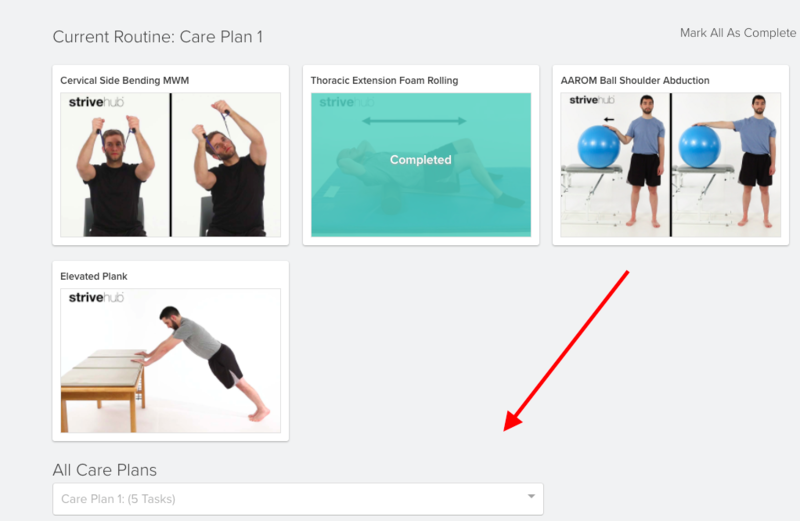 Click on the "All Care Plans" drop down list on the bottom left corner of the page. 4. Your previous care plan will be displayed once you have selected it from the "All Care Plans" drop down list. How do I print one of my previous care plans?